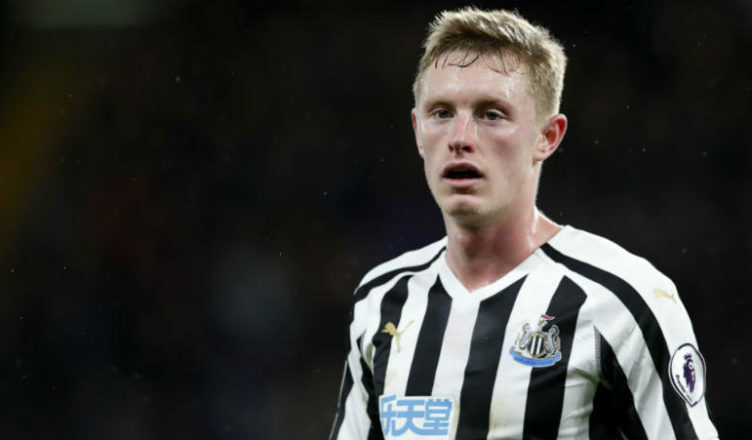 Devastating blow for Sean Longstaff as full extent of his knee injury is finally revealed – NUFC blog – Newcastle United blog – NUFC Fixtures, News and Forum. Some devastating news has emerged this morning, with it being confirmed that Sean Longstaff has been ruled out for ‘up to 4 months’ with a posterior cruciate knee ligament injury. This comes after the 21-year-old’s clash with Robert Snodgrass on Saturday, with the crunching 50/50 challenge forcing him off at half-time and leaving him on crutches ever since. It was confirmed earlier this week that he’d miss the Everton game this weekend and was due to see a specialist yesterday, but news that he’ll be out until around July is a real blow. ‘Newcastle United midfielder Sean Longstaff has been ruled out for the rest of the season after damaging his posterior cruciate ligament. ‘The in-form 21-year old injured his knee against West Ham on Saturday and saw a specialist on Wednesday evening who determined he will be out for up to four months. Longstaff will have his knee in a brace for eight weeks before starting his rehabilitation. It’s a huge blow for the midfielder who was pushing for an international call-up. A crippling blow for the lad just as he was making real strides in our first-team – with him also being eyed by England at U-21 and senior level – however the good news is that he could well be back for pre-season. With Ki, Shelvey and Diame in reserve, we should be able to cope, but let’s just hope he can make a full recovery and return in pre-season in great shape.